It’s common knowledge that Savannah cats are cross bred between the Wild African Serval, the cat breed worshiped by pharaohs, and other breeds of cats. This cat has a tall, slender body, hind legs and huge ears. A Savannah cat is a great companion, cute, smart and very loyal, but a the same time, it can be very expensive. But how much will a Savannah cat cost you? The Savannah cat price can be anywhere between $800 and $20,000, depending on its age, breeder, gender, generation, size, geographic location, purity of the breed and additional products or services offered when you buy the cat. If you want to own a real Savannah cat, don’t go for the cheapest you can find. Study the market, search online, and make sure that you find a serious breeder, that can offer you detailed, real information to convince you that you will get a purebred cat. If you don’t know what you should be looking for, while searching online, here are a couple of factors that should and usually will influence the final price of a Savannah Cat. The money you’re willing to spend will surely influence the quality of the breed, the age and gender of the cat, as well as any products or services included with the purchase. There isn’t just one type of Savannah cat. Usually you will find this breed is combinations called F1, F2, F3, F4, and so on. These combinations will represent the generation of your chosen Savannah cat. This means that the F1 Savannah cats will have the largest percentage of wild African Serval in their genes and will also be the most expensive. Their purity can be as high as 75% Serval. The F1 Savannah male will be cheaper, with a price anywhere from $12,000 to $16,000, while the female can go upwards of $20,000, if gene purity can be proven. Females will be more expensive than males because they are usually used for breeding purposes. The F2 Savannah cat usually has an average of 30% Serval mix, but should still look very much like the Serval breed. Male F2 savannah kittens will usually cost between $4,000 and $8,000 while female F2 Savannah cats have prices of $4,000 to $10,000. You will find a maximum of 20% Serval mix in the F3 Savannah cats, making them even cheaper. The F3 Savannah male will cost from $1,300 up to $4,000, while the F3 Savannah female can reach $5,000. The F4 Savannah cats will usually have 15% or slightly less Serval mix. A male F4 cat should cost $1,000 to $2,500, while female F4 cats have prices that range around $1,100 to $3,000. F5 Savannah cats will look more like domestic cats than Servals, with only about 10% and below in genes of a wild African Serval. The male F5 cat price can range from around $800 up to $1,500 while a female F5 cat typically ranges from around $1000 to $2500. As you can expect, the generation of the cat will be the most important factor to influence the final cost, with F1 Savannah cats being the most expensive. The gender will also influence the price in a big way, with females being noticeably more expensive than males. The age of the cat will influence the price: People usually opt for newly born kitties, making older cats harder to sell, which makes them cheaper. Your location will have an impact on the final price: Bigger cities usually have more breeders, and with competition come smaller prices. Breeders can also affect the price range of each Savannah cat, depending on their experience, popularity and price preferences. Don’t forget to talk shipping costs with the breeder, if you’re getting the pet from overseas. Depending on where the cat is shipped from, the shipping fee shouldn’t be more than $200 to $500, unless the distance is significant. The shipping crate should be included in this price. Before paying the full price, if possible, take your future pet to the veterinary for a check-up, just to make sure that you’ll get a healthy specimen. If the check-up price isn’t included in the adoption cost, be prepared to spend around $50, depending on your location. Your cat will also need food, a bed, a water boll and medical supplies in case it gets sick. Cat food alone will set you bakc $25 to $60 each month, depending on the brand of cat food you go for. Don’t cheapen out on food expenses, because this cat can be very picky. If you want your cat to look great always, you have to take into account fur maintenance, which will take a moderate amount of time. This cat will also shed fur moderately, but the shedding can be minimized if you provide proper maintenance, nutrition and brush the fur as often as possible. These cats are like ninjas. They are quiet and well behaved, making them perfect for people that don’t like noisy pets. Don’t get a Savannah Cat if you’re a busy person, because they are very demanding, constantly needing your love and attention. Savannah cats are very playful and like to engage in all sorts of activities. The owner should spend at least ten to fifteen minutes, if not more, daily, playing with the cat. Savannah cats are great around kids, being affectionate, sweet and always ready to play. If you’re living in an apartment building, be sure to check if pets are allowed, before you purchase the cat. 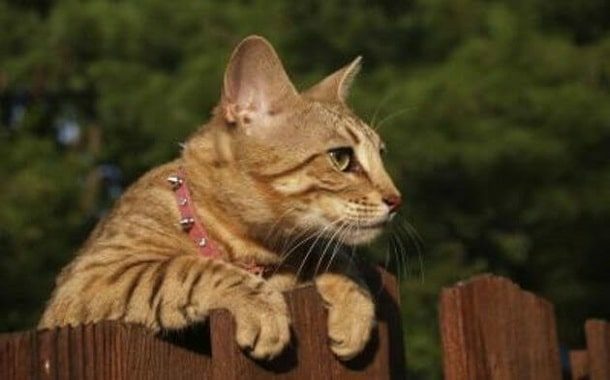 You should also know that the owning of hybrid cats is governed by strict laws in some states like Georgia, Hawaii, Texas and Massachusetts, so be sure to check websites like hybridlaw.com and get on top of the subject before you buy the pet. Should the Average Working Joe get a Savannah Cat? If you’re looking for a majestic pet, that’s also loving, calm and well behaved, then you should get a Savannah cat. Seeing that this cat can be expensive, be sure that by getting one, you won’t risk your financial future or your family’s wellbeing. Finding a local breeder of Savannah cats will enable you to see the specimen before you buy it and will also save you on shipping fees. Don’t be afraid to bargain. It’s never a bad idea to bargain, especially when you’re getting an expensive item. While aiming to lower the final price, be sure you’re not missing out on services or products, that could cost you more if you choose to buy them yourself. Getting health insurance for your Savannah cat could save you a lot of money in the long run, if it ever gets sick, but only buy it after you’ve paid for important stuff like food and a cat bed. If you like to gamble, you can always check the animal shelter, to find a cat for a much lower price, but you can’t be certain that you’ll get anything close to a pure bred. A shelter shouldn’t charge you more than $100 to $500, for a cat, regardless of its age or looks. How Much Does a Wedding Tiara Cost? How Much Do Engagement Rings Cost?